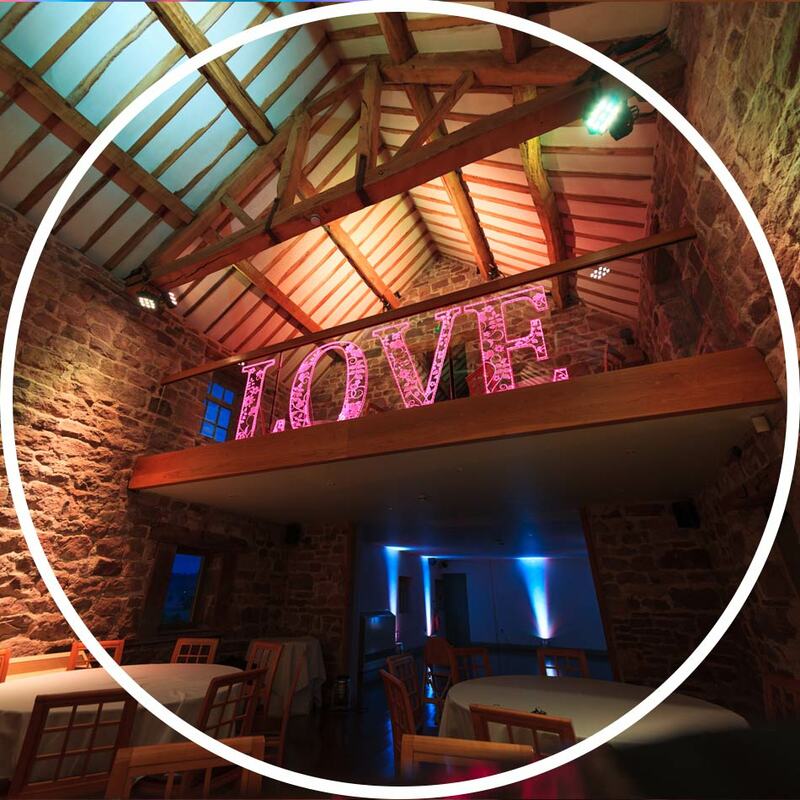 Here at Sound Solutions we are thrilled with our brand new Light Up Letters which are available to hire for your wedding, anniversary or loved-up celebration! We have 2 sets of light up letters both of which spell out LOVE. Wooden Vintage Style Light Up Letters from £200 including VAT for the whole day. 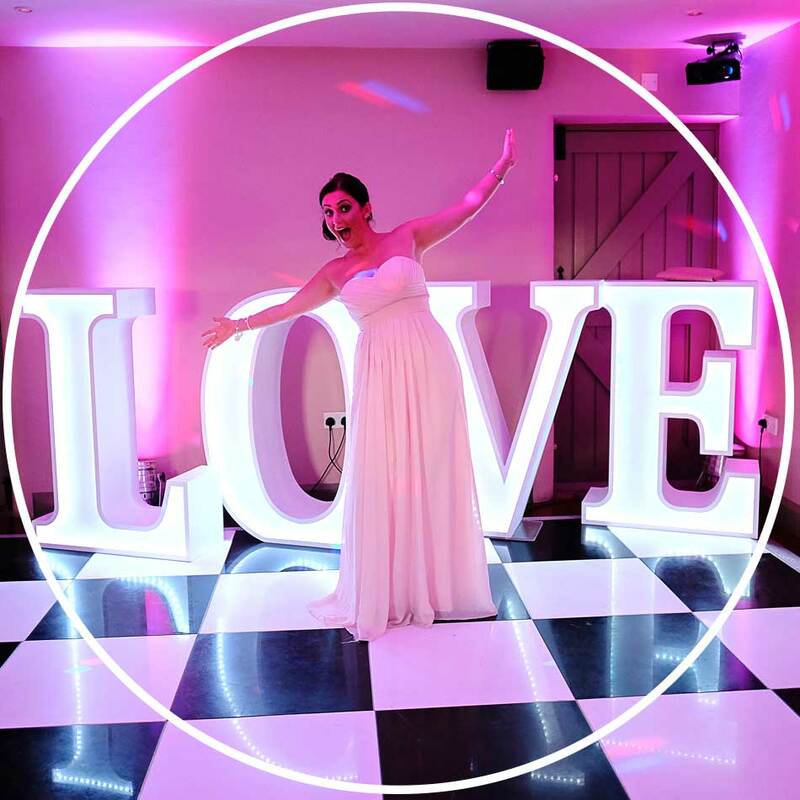 Our wooden vintage style light up letters are 4ft tall, solid white wooden letters spelling out LOVE. They feature electronically controlled LED strips set within the light up letters which can be programmed to a number of different settings, colours and modes. 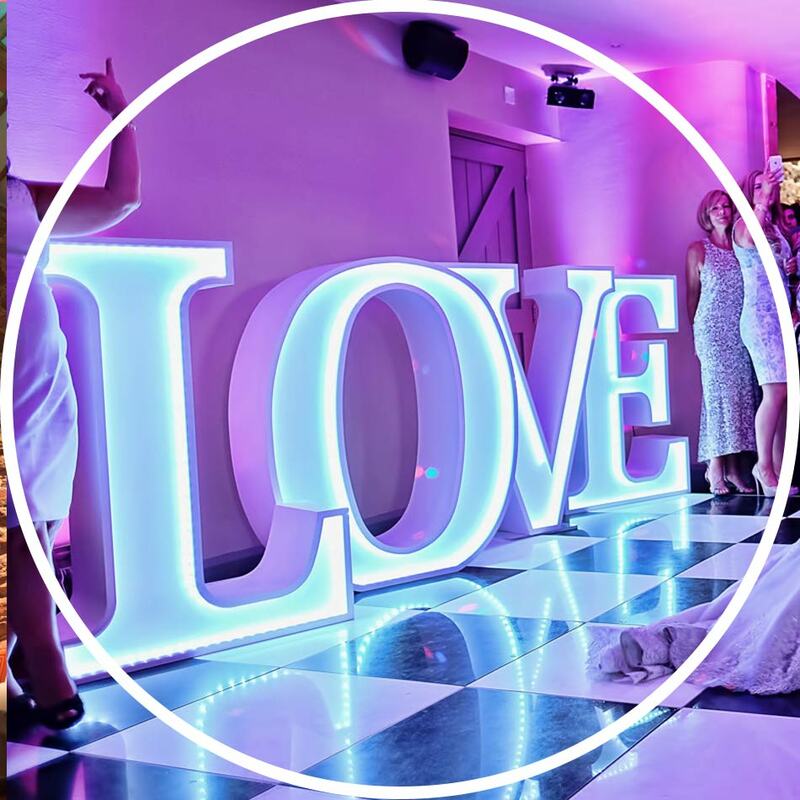 You might want your light up letters to shine bright white throughout your wedding day then start to illuminate the dancefloor with more vivid colours and light displays throughout your evening reception. As they are made of vintage style wood, they are well balanced and heavy making them suitable for positioning on your dancefloor, although it is not possible to move their position once in place. Price Includes installation, programming, free delivery and collection of the light up letters. Wooden Vintage Style Light Up Letters £175 including VAT for the whole day. Contemporary Light Up Letters from £200 including VAT for the whole day. Our unique, highly-decorative, second set of light up letters, feature a gorgeous floral pattern which lights up the word LOVE. They have a wide variety of LED Light settings in a myriad of colours to suit any wedding theme. As they are highly-decorative and fairly lightweight they are best used as decorations, maybe sat in front of your Top Table or up on the Balcony Bar at The Ashes. Once in position it is not possible for them to be relocated during your wedding day. Price Includes installation, programming, free delivery and collection. Contemporary Light Up Letters – £175 including VAT for the whole day.